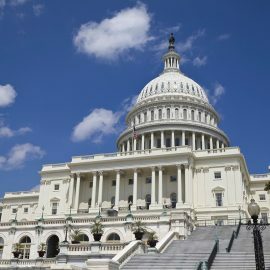 House lawmakers have unanimously passed a bill that authorizes an office within the Department of Homeland Security to leverage necessary tools to counter biological and chemical threats from evolving weapons of mass destruction. The Countering Weapons of Mass Destruction Act of 2018 would assign the DHS Countering Weapons of Mass Destruction Office to handle operations to protect the U.S. from WMD threats, the department said Wednesday. “The United States faces rising danger from terrorist groups and rogue nation states who could use weapons of mass destruction to harm Americans,” said DHS Secretary Kirstjen Nielsen. The DHS established CWMD in 2017 to consolidate efforts in preventing terrorists from using weapons of mass destruction against U.S citizens and interests. President Trump appointed James McDonnell, former director of the DHS Domestic Nuclear Detection Office, in May 2018 to lead CWMD.